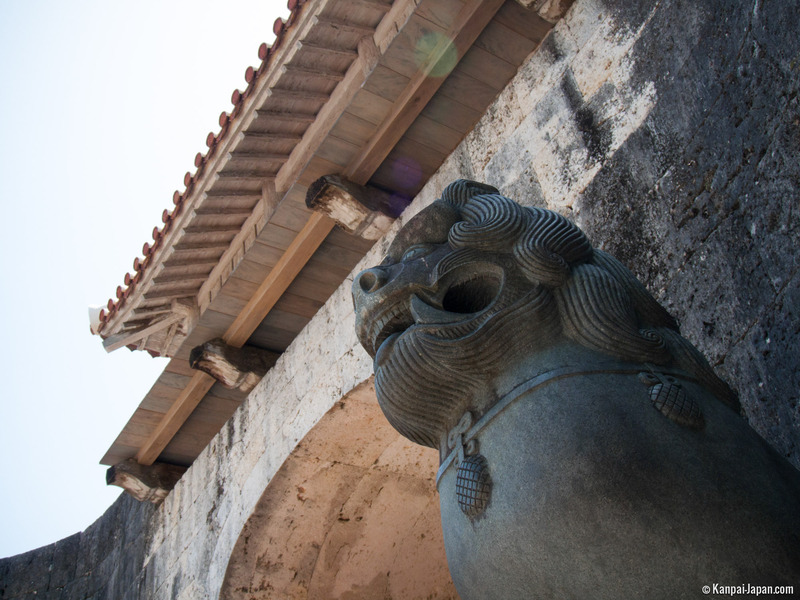 Shisa are a very common feature and distinctive trait of the culture of the Okinawa islands, and it is simply impossible to ignore them when staying on the islands. An open-mouthed male supposed to scare evil spirits away. It is believed that Shisa were imported from China into the archipelago around the 15th century. Several stories recount the manner in which they arrived on the island with varying degrees of fantasy. The main one, however, seems to originate from Madanbashi, a village south of Naha. According to this story, the villagers were regularly attacked by a giant dragon. One day, on the occasion of a visit from the king of the Ryukyu archipelago, one of the village priestesses noticed the Shisa figure (named Iri-nu) hanging from a necklace around his neck, which he had received from a Chinese diplomat in Shuri. As the monster was ready to attack, the priestess asked the king to hold up the necklace to the monster. There rose a thundering roar and the Shisa came to life, appealing to an enormous rock that fell from the sky and crushed the dragon’s tail. Unable to move, the dragon died and was later transformed into the Gana-Mui forest. To this day, the inhabitants of Madanbashi continue to gather on the 15th of August to offer prayers and gifts (mainly fruits) to the Iri-nu statue, protector of the forest. 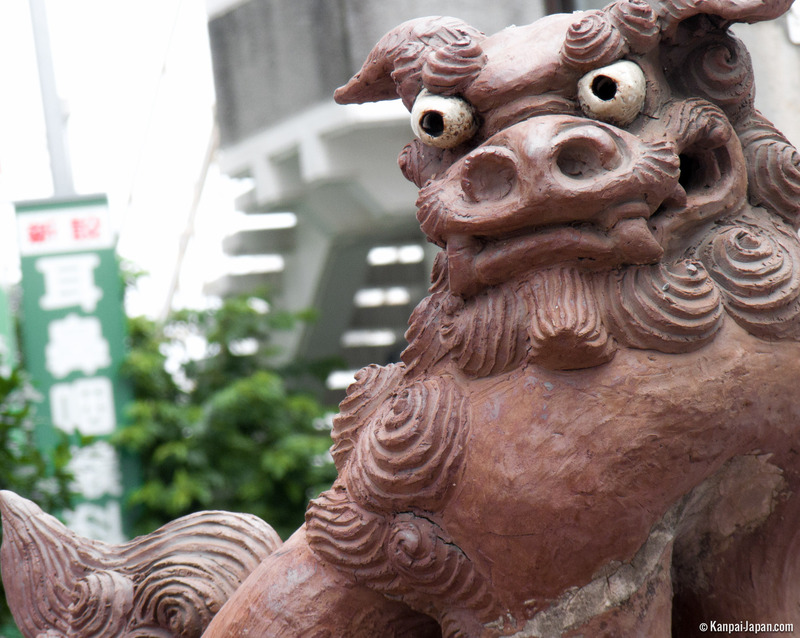 Shisa, also known as 獅子 shi-shi ("lion") in the local language, are found everywhere in Okinawa. Because they are believed to provide protection, they often sit outside or on the roof of many buildings in the archipelago, including those of private houses, large stores, corporate buildings, hospitals and even schools. 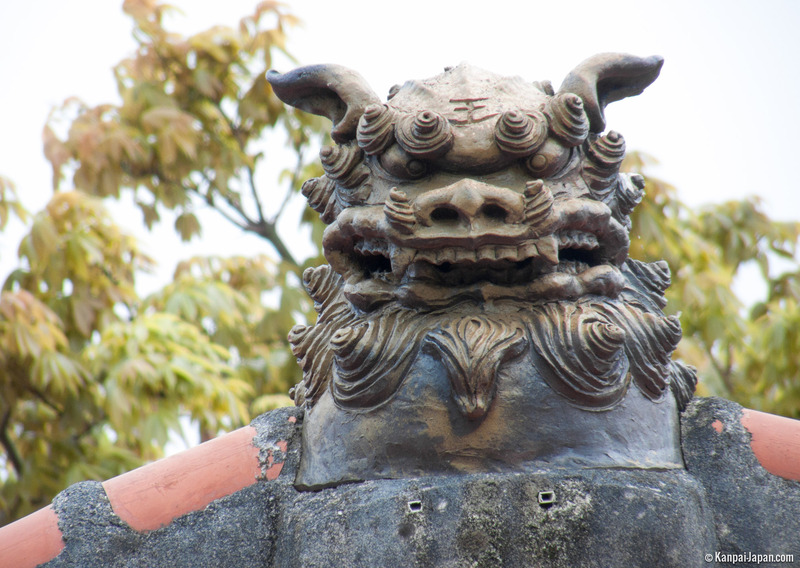 Shisa also have cousins called 狛犬 koma-inu (“lion-dog") which you can sometimes see outside temples all over Japan, especially around torii in Shinto shrines. 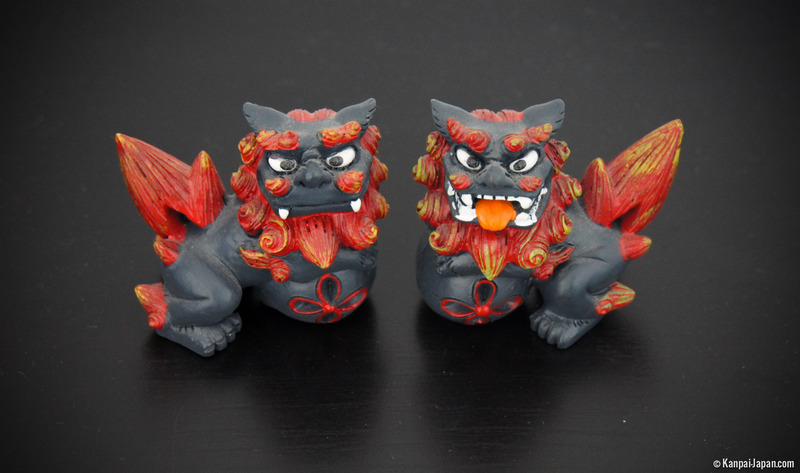 Nowadays, Shisa come in many different varieties and shapes. Although statues and their figurine reproductions are the most common type - for sale at inflated prices on neatly arranged store shelves – they are also available on objects of all kinds, and figure hugely on T-shirts. Some Shisa are featured with one paw laid upon a golden sphere supposed to symbolize good fortune.